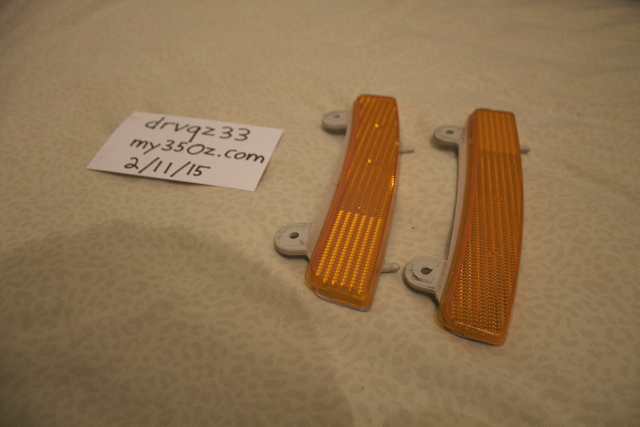 I have a set of 03-05 bumper reflectors for sale. One reflector has a broken tab (far right reflector) but that doesn't affect mounting at all. It still sits flush and tight in the bumper. I upgraded to a 06+ bumper so no need for these. I'll let these go for $10 shipped (Cont. US). If you have any further questions, message me! Thanks! I will buy em, whats your paypal? Sold! Mods please close and thank you! !